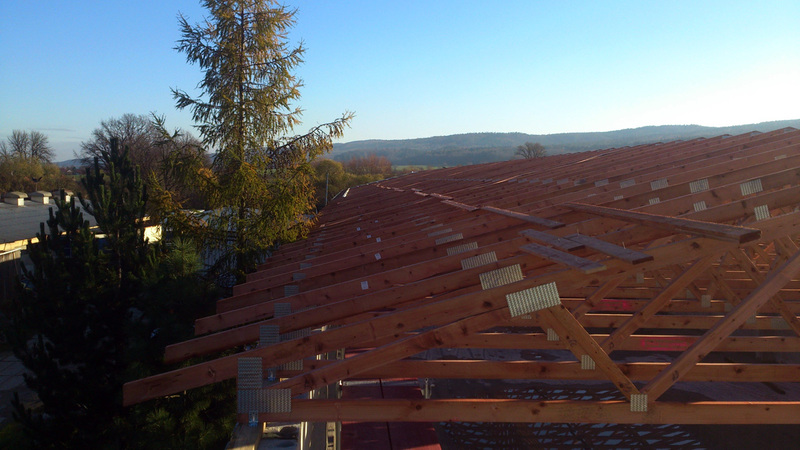 Wooden trusses for all types of roofs - Czech quality and Czech timber. 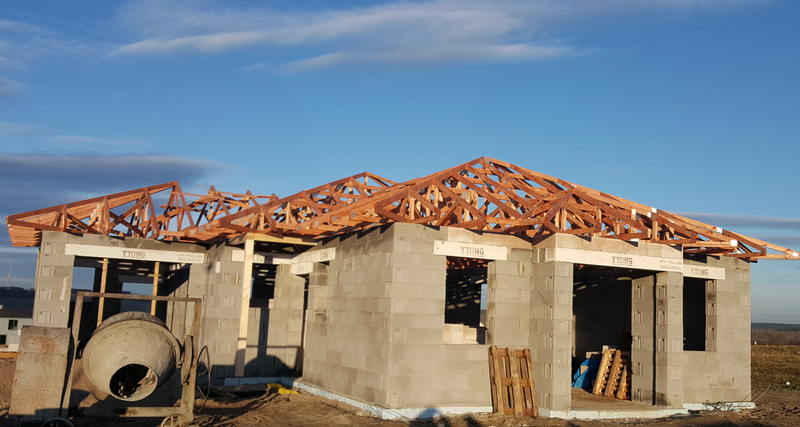 Tell us what shape of roof you will need and we will prepare its load-bearing structure – constructed from timber trusses. 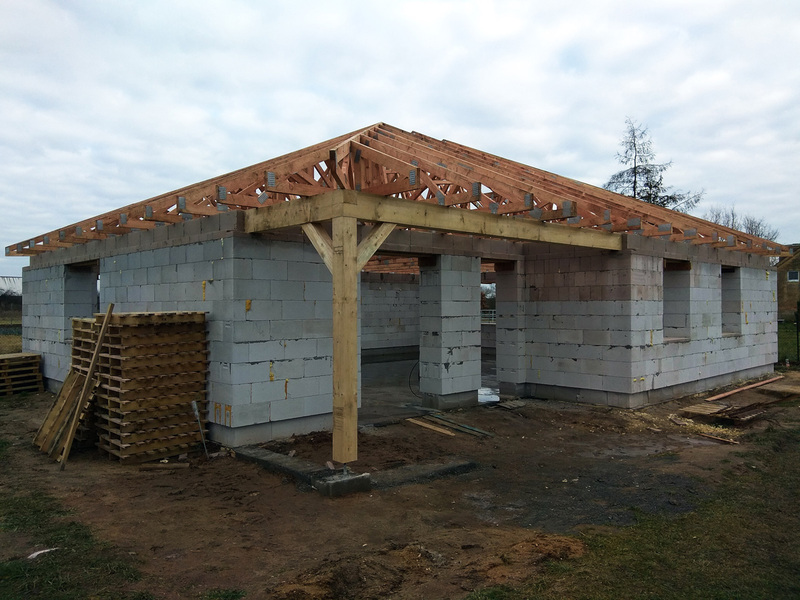 Timber trusses with steel truss plates and pressins fully replicate classic frames utilising the elements of steel and concrete. 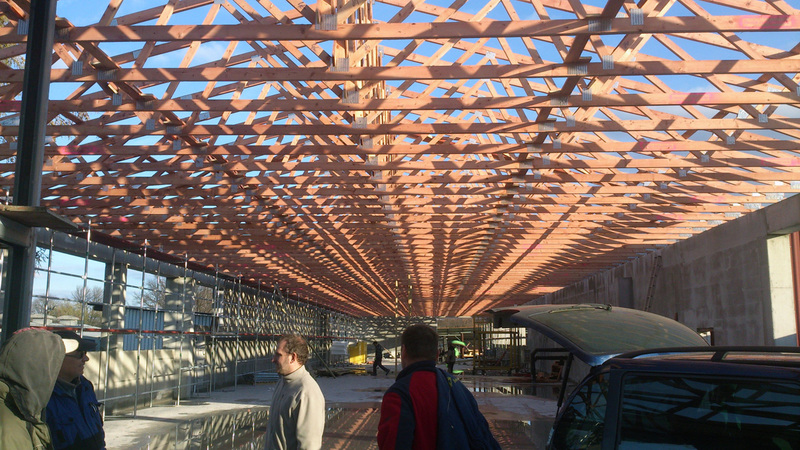 Plasticity and variability – Plasticity and variability – a combination of wood and-nail plates with pressins allows you to create any shape of roof construction – curved, pointed, gabled, flat – even such as meeting the rigorous requirements of demanding architects. 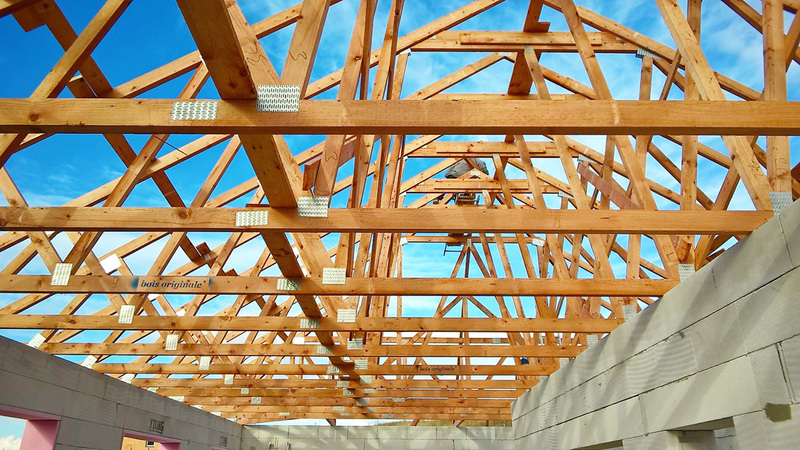 Saving wood as well as cash – to manufacture wooden trusses, 50% less lumber is needed than in the manufacture of classic frames. 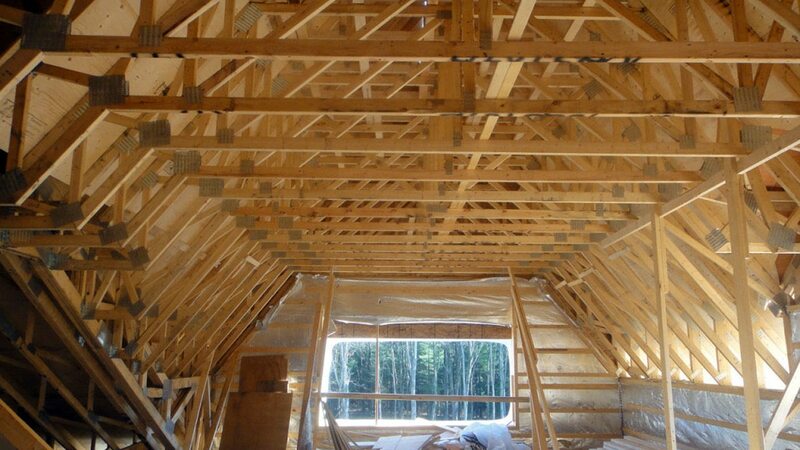 That saving on wood material is reflected in the total structure price to a material degree. 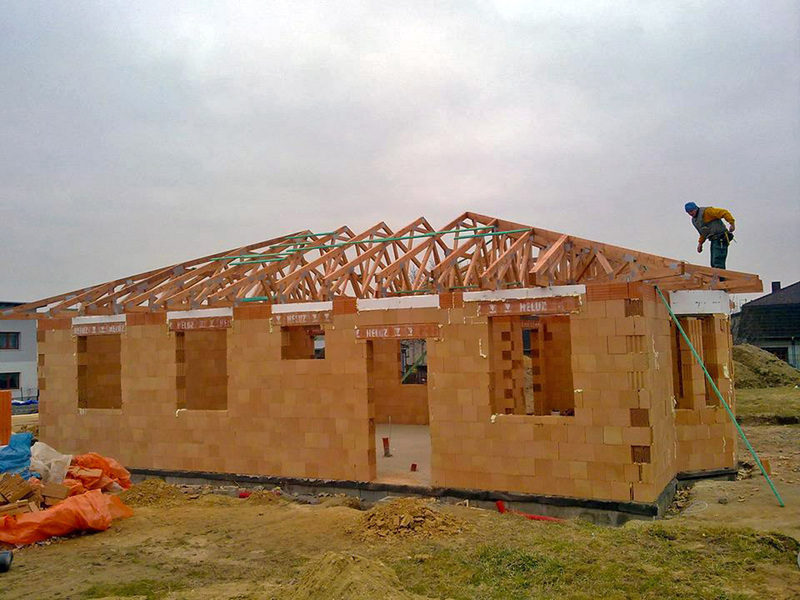 Czech quality – roof trusses are supplied exclusively from Czech timber. 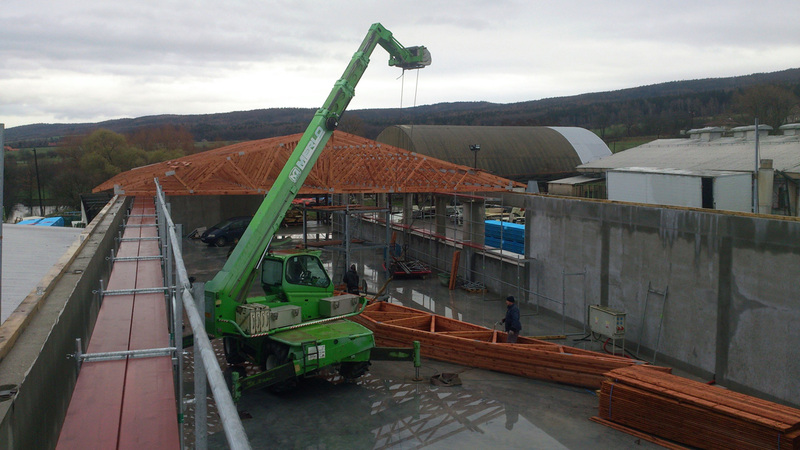 The treatment of the wood is also undertaken by a Czech company. 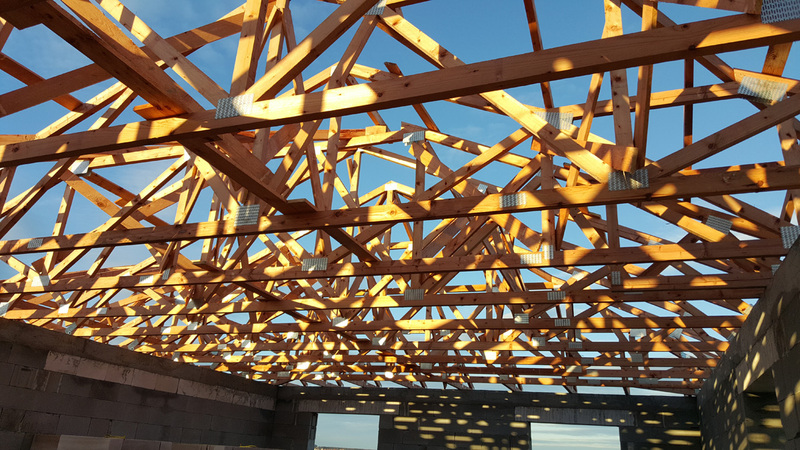 Properties – trusses are made of natural materials – they are lightweight yet very durable and hardwearing. 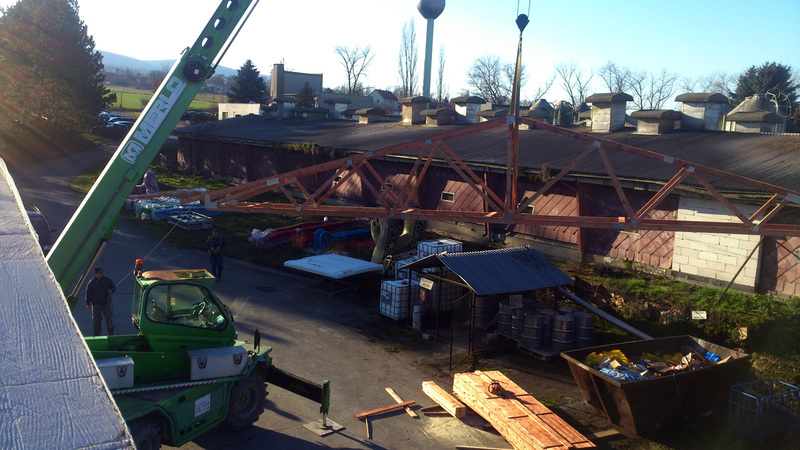 Speedy installation – the assembly does not take too much time. 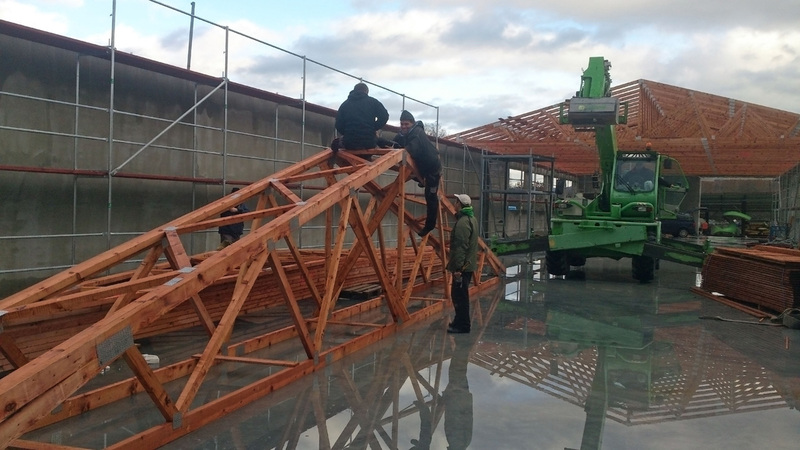 The trusses are prefabricated thus delivering an almost-completed product to your building site. 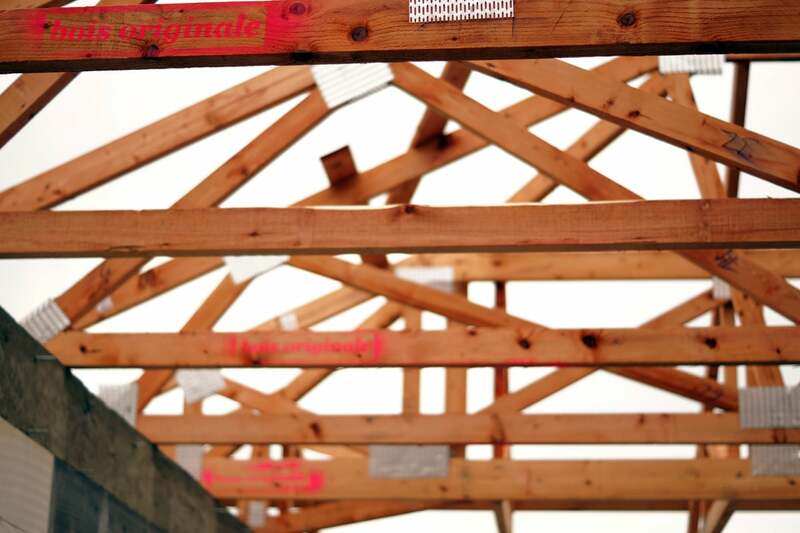 Trusses bois originale are immediately distinguishable from others by their red hue. 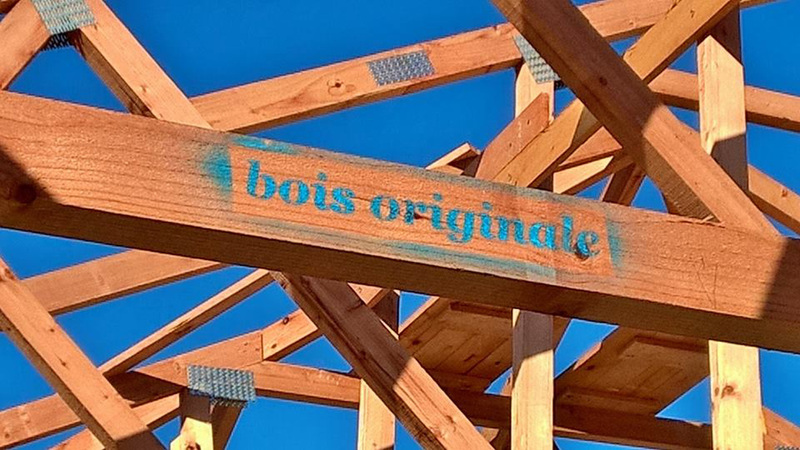 Each truss undergoes visual inspection and bears the words bois originale. 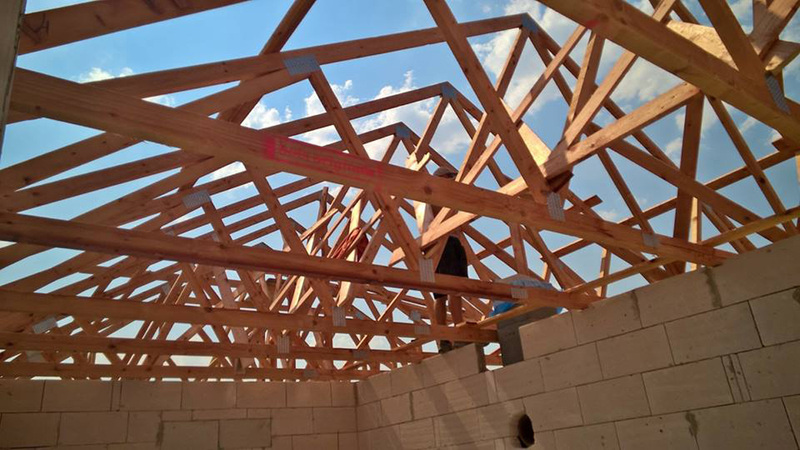 We will draft the design of timber truss construction to your requirements, complete the project documentation and quote. 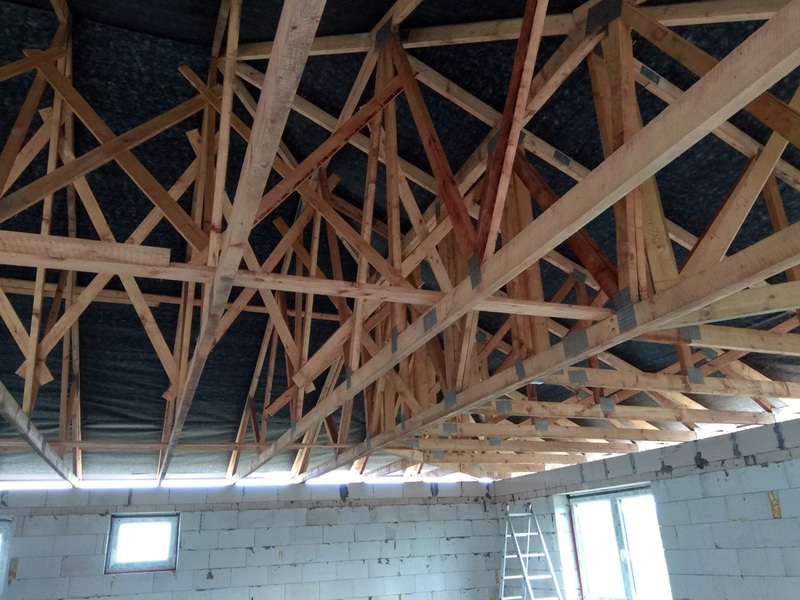 Included as a matter of course are static analyses of all elements regarding the loadbearing characteristics – roofing material, suspension ceiling grid, exposure to snow and wind parameters. 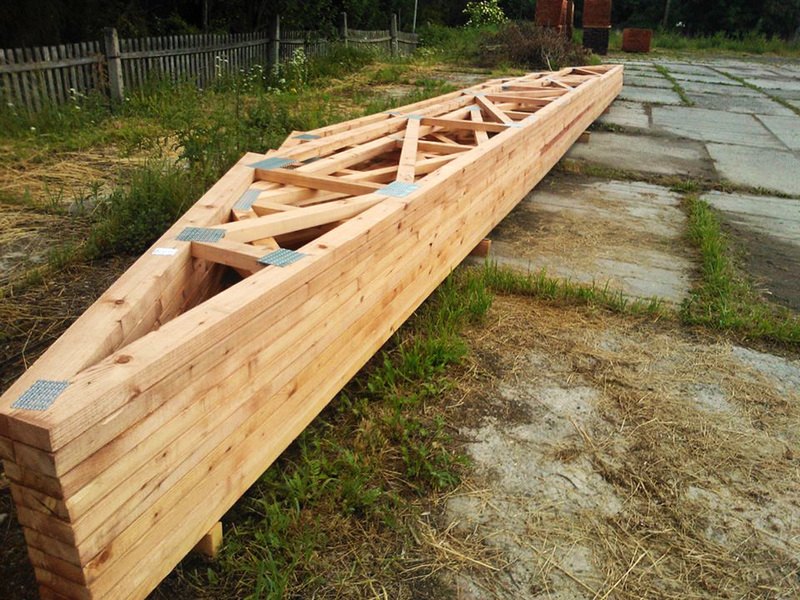 Our production uses the best Czech truss timber of the brand bois originale. 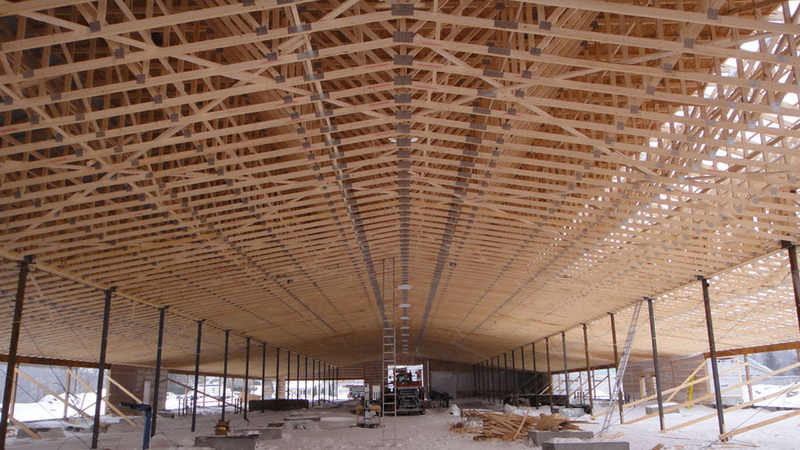 Trusses are produced from individual blanks, which are inter-connected by means of stamping nail plates of the Bova-nail system. 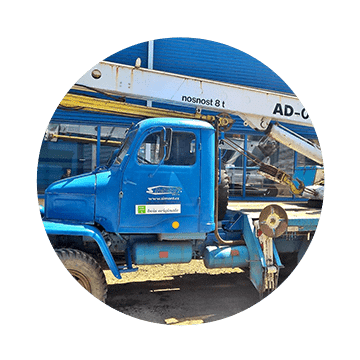 We deliver entire assemblages to the designated site. 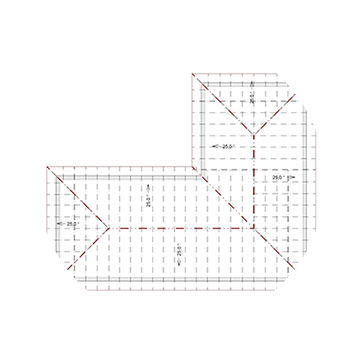 For larger structures only divided in interlocking parts. 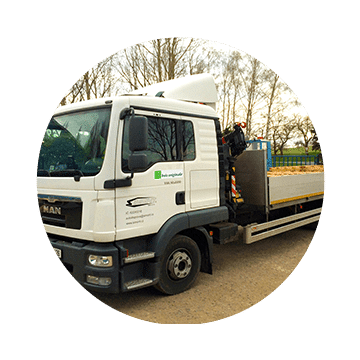 Thanks to easy assembly this shortens the time spent on site. 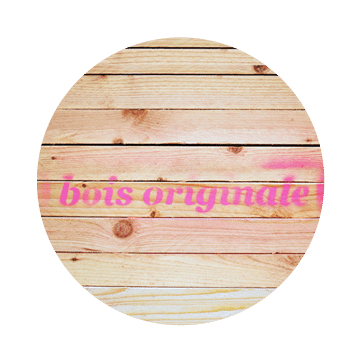 We deliver trusses under the brand name bois originale. 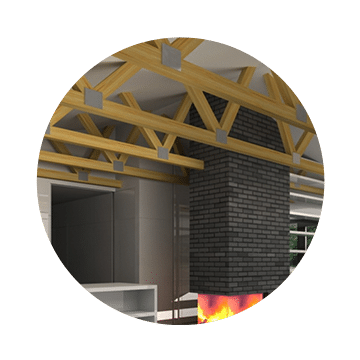 The timber truss planning designs, complete manufacturing documentation and an accompanying quotation is implemented in the programme for calculation of wooden trusses – ´TRUSS´. 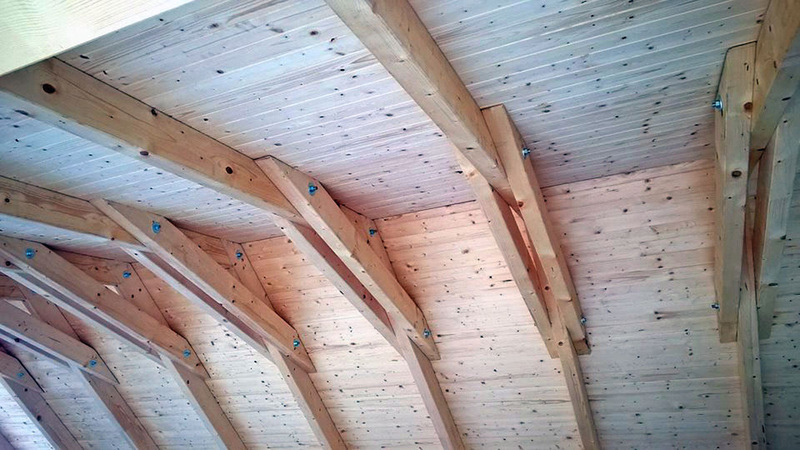 As a result we can guarantee optimal consumption of lumber and sophisticated structural-analysis calculation of all the elements of the construction design with respect to its load-bearing facilities such as roofing material, suspension ceiling grid, snow and wind. 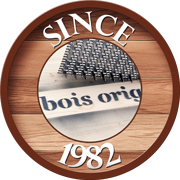 Our production uses the best Czech truss wood of the brand bois originale. 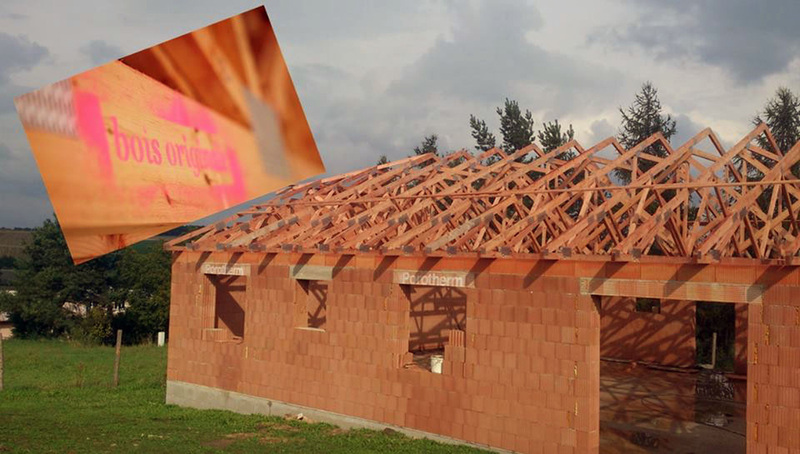 Trusses are produced from individual blanks, which are inter-connected by means of stamping nail plates of Bova-nail system. 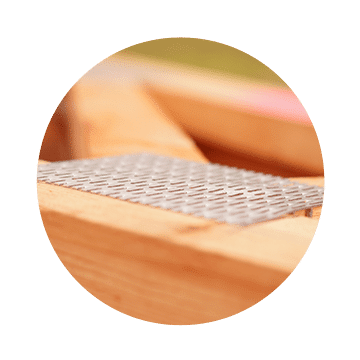 Gusset plates are made of galvanized sheet metal with one-sided pressins – acting as a cluster of nails and as a gusset plate at the same time. 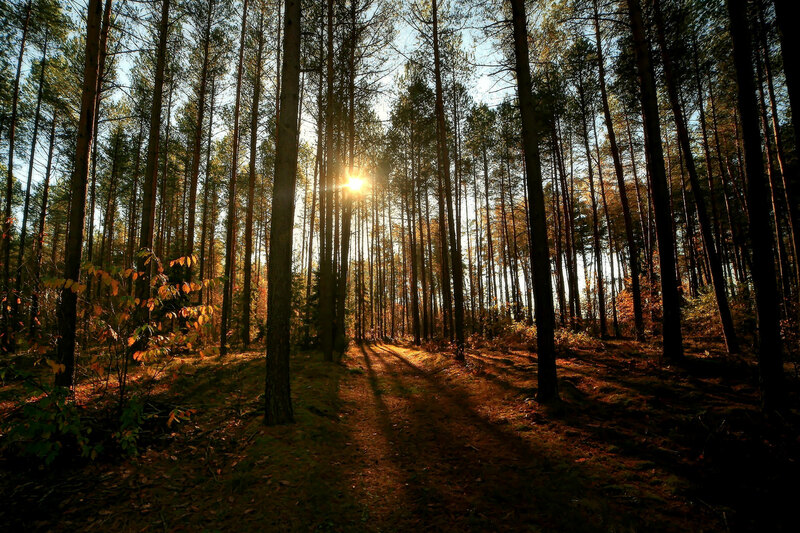 This manufacturing technique also significantly reduces wastage of timber elements and therefore the consumption of wood. 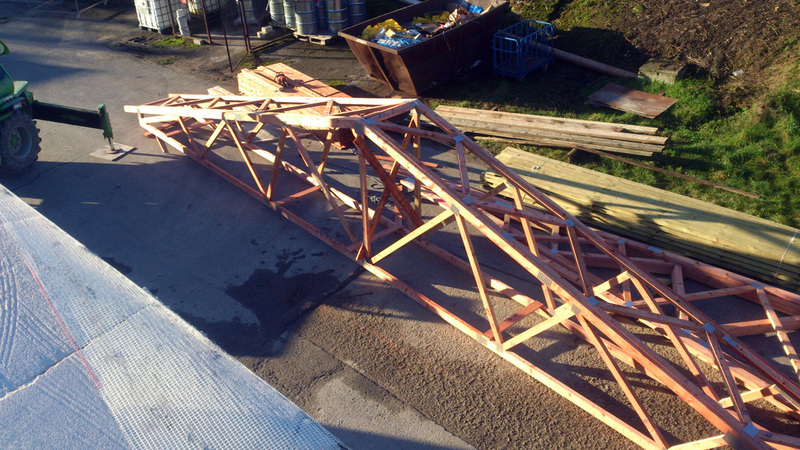 We deliver whole trusses to the designated site. 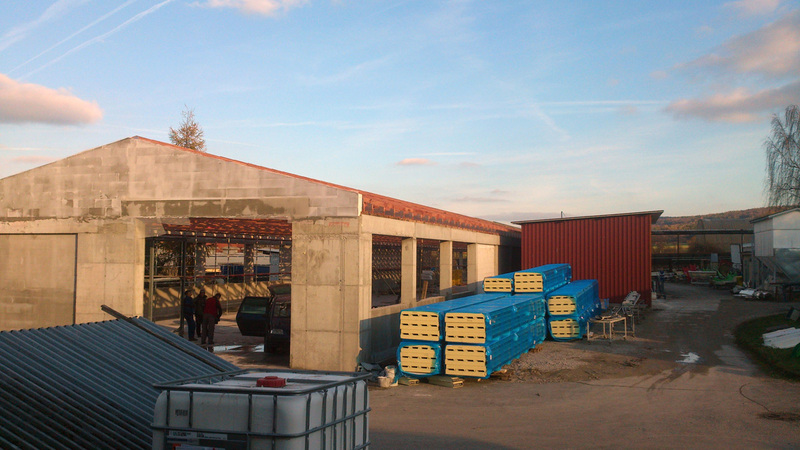 For larger structures the product delivery is divided into several parts. 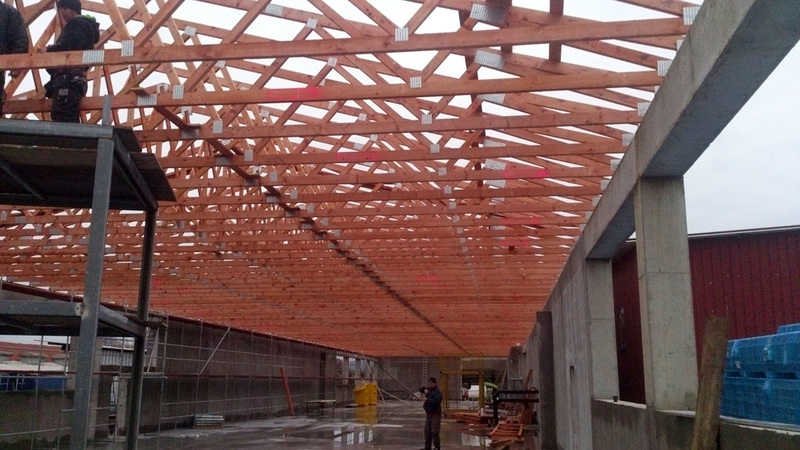 Each truss has its marking used for the structural assembly, guided by a template. 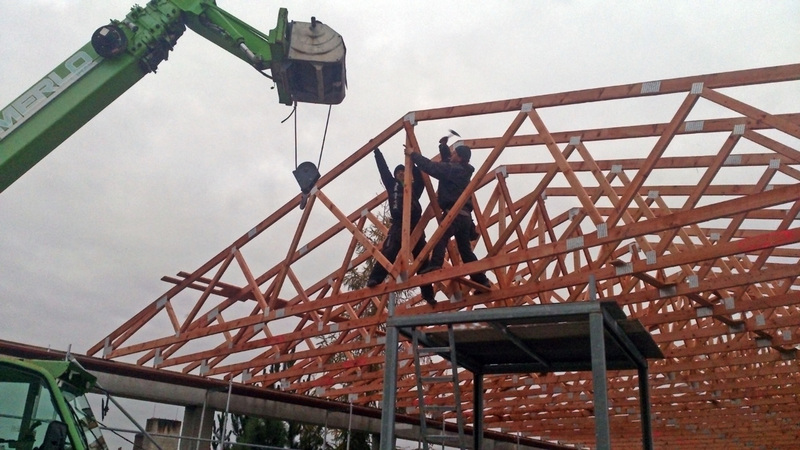 The assembly of trusses is simple and significantly shortens time we spend on site. 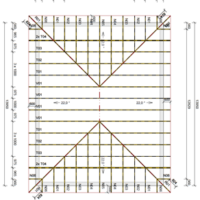 WE WILL DRAFT THE TRUSS DESIGN. PREPARE THE QUOTATION. MANUFACTURE THE STRUCTURE. DELIVER TO THE SITE AND ASSEMBLE. SO THAT YOU GET A BROAD IDEA. Basic price without assembly and delivery costs. 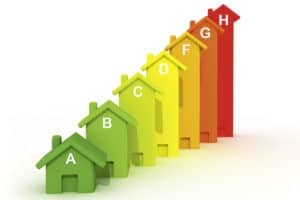 The easy way to quickly obtain an energy certificate. 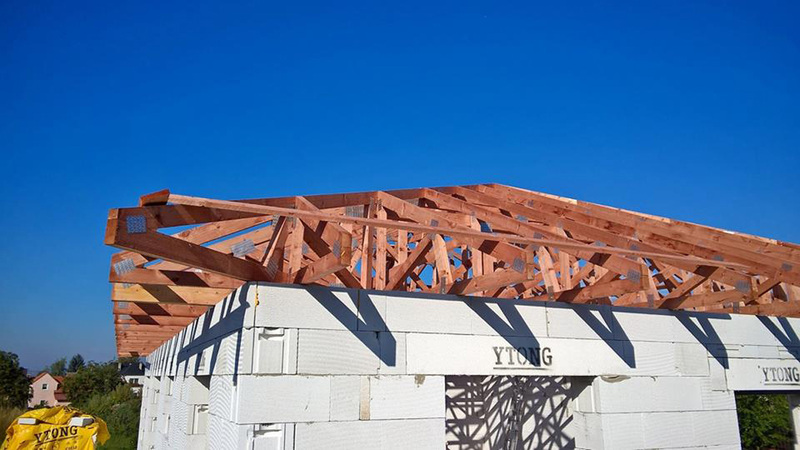 For roofs of passive houses, we also design and manufacture active purlin system, with the load-bearing function for the roof. 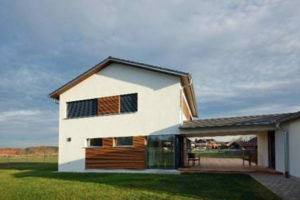 It contributes to the energy performance calculation of the house. And saves you money. 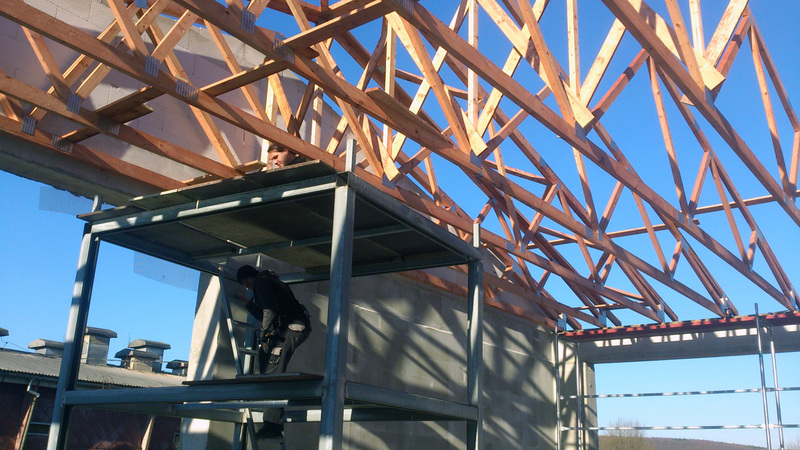 We also manufacture active trusses for shed, gabled and hipped roof types. 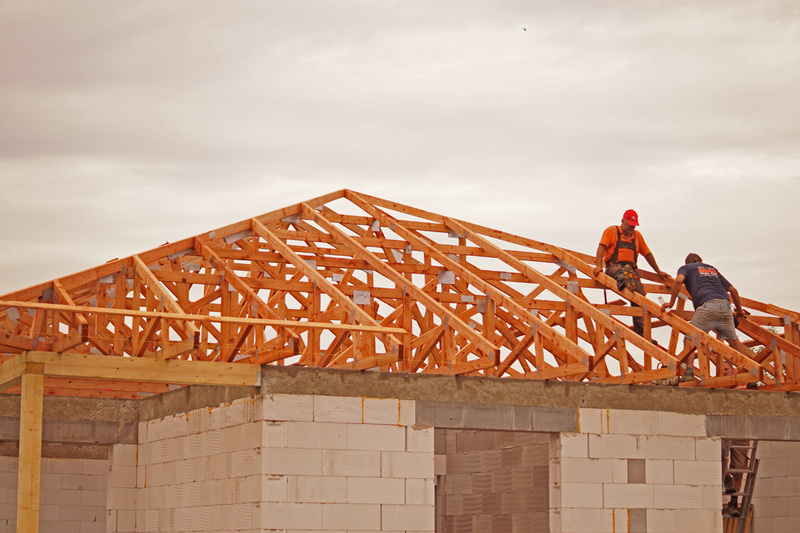 Use the roof to its full potential. 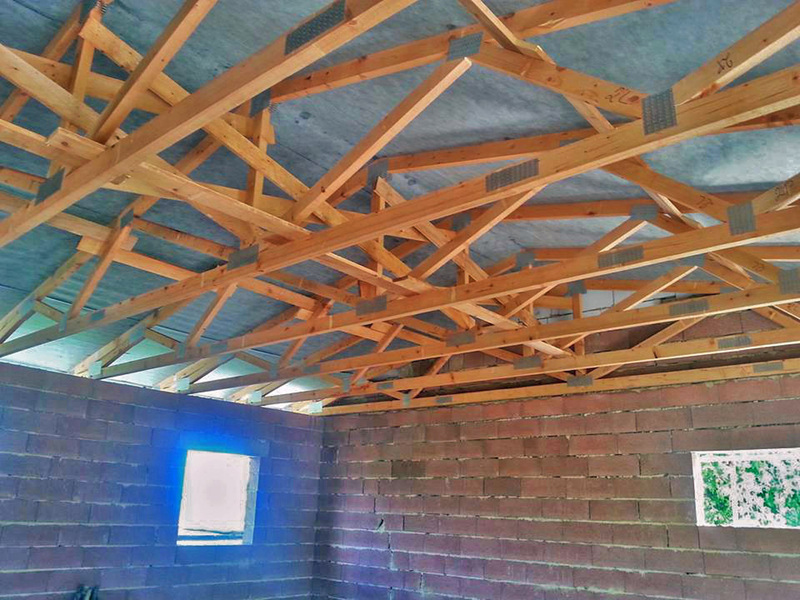 The truss of flat roofs as well as ceilings of hybrid trusses functions as a protective structure for air distribution networks. 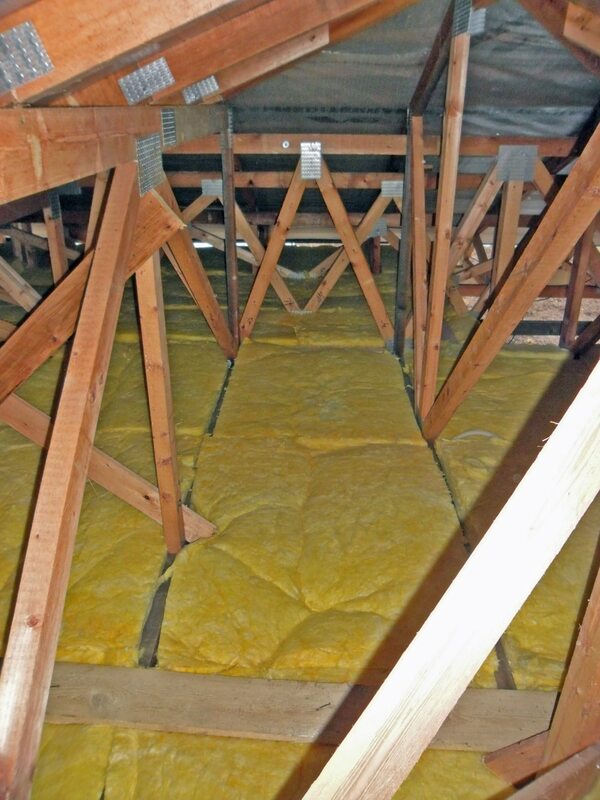 Trusses offer space for insulation. They maintain the modern look of the house. They are cheaper. 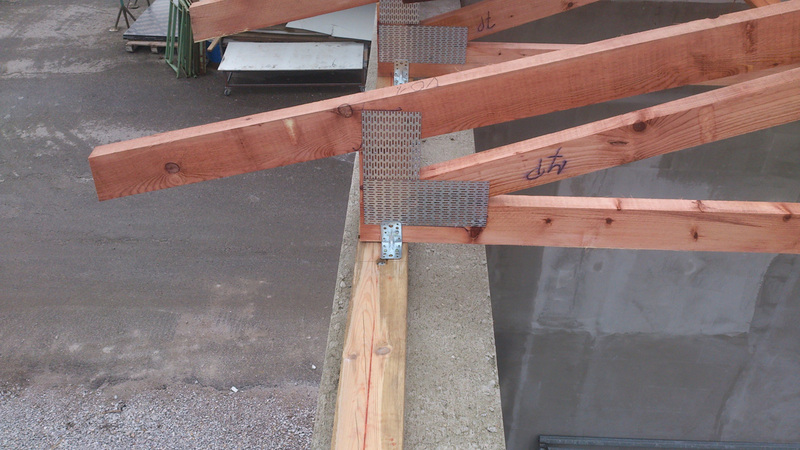 And a far more effective solution to the structure of a roof. Our standards and your additional storage space. 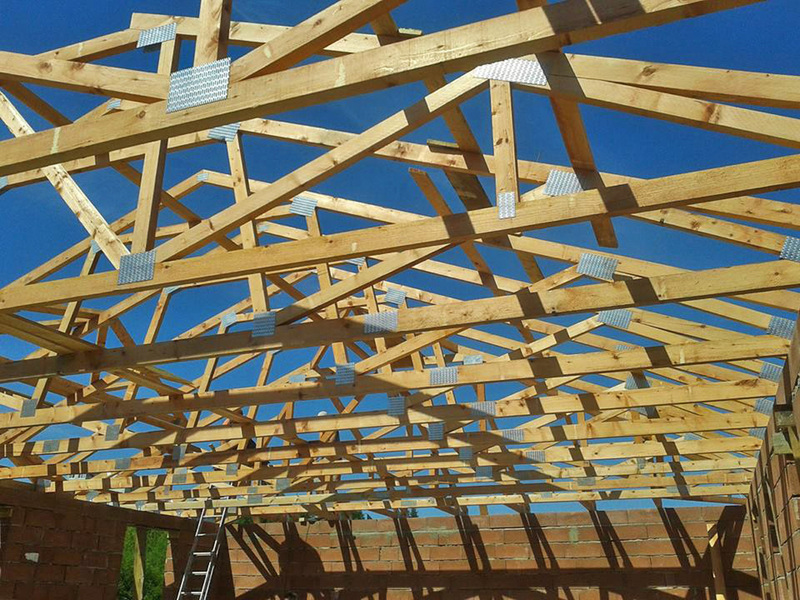 For your loft extension we will design a custom-made construction of timber trusses. 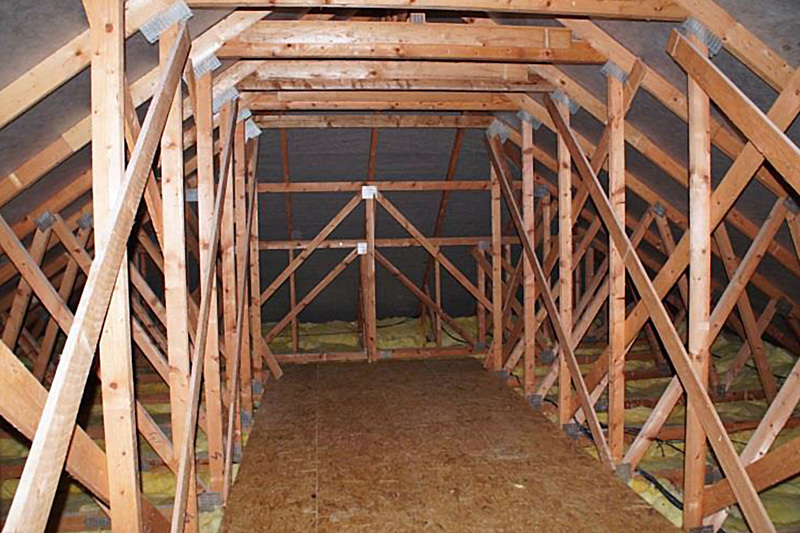 A solid truss structure is an ideal and functional solution for the attic. And a significant money-saving solution, too. Enjoy originality and luxurious appearance. 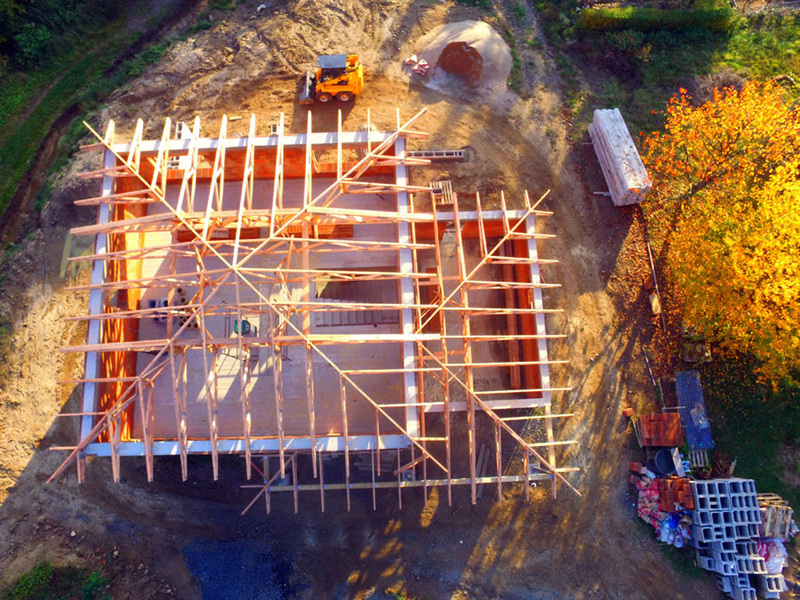 For modern wooden buildings with different types of roofs we manufacture trusses from solid, structurally modified wood – usually spruce. 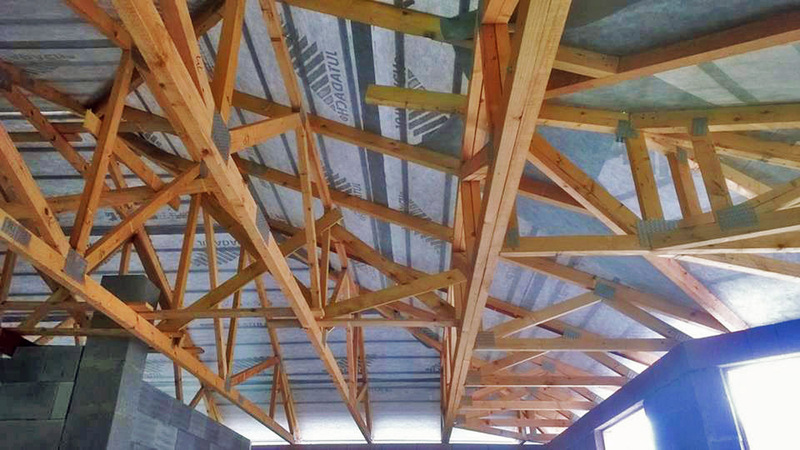 In combination with oriented strand boards (OSB) or soffit boards, your roof can boast an unusual appearance. 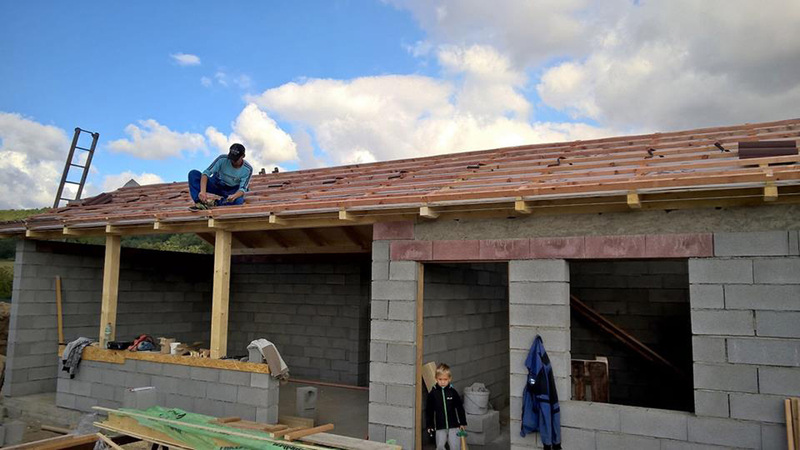 and types roofs, where one can use classic concrete or clay tiles, but also lightweight coverings, roofing shingles, and that even for roofs of a minimal slope. 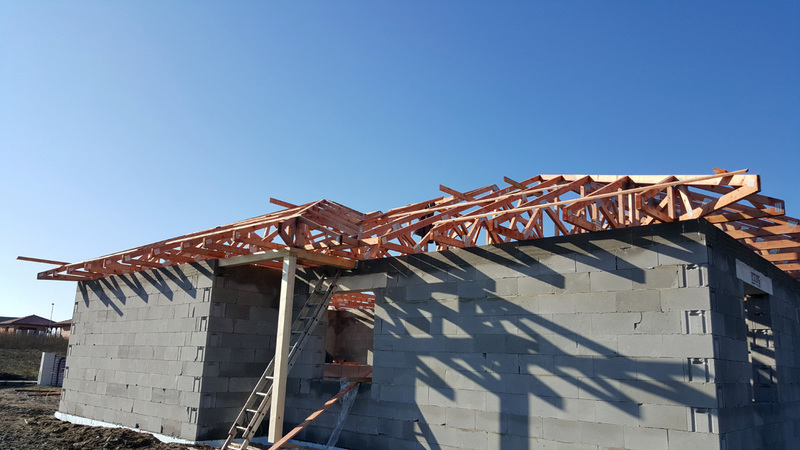 The biggest advantage of trusses we see in its significant transfer of load from the roof to the perimeter walls without the need for central load-bearing walls up to the width of 30 metres. 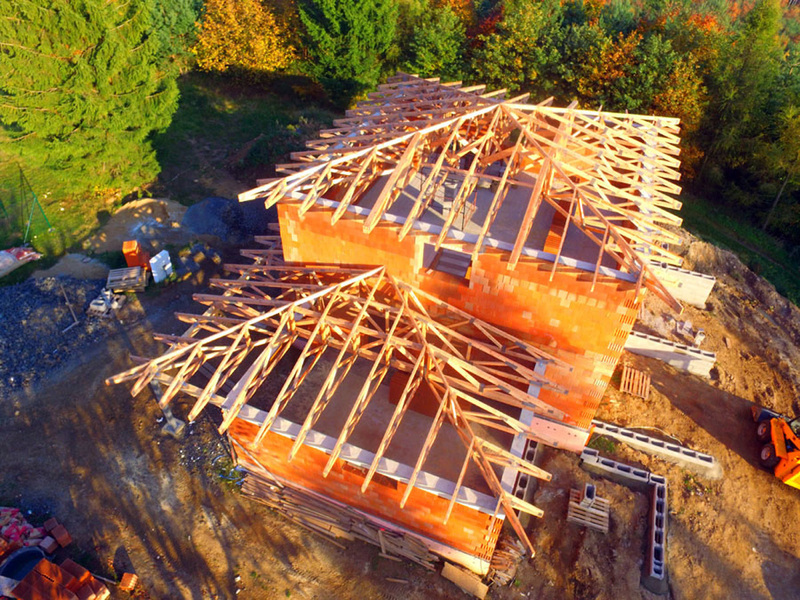 Undoubtedly, trusses save on the material. 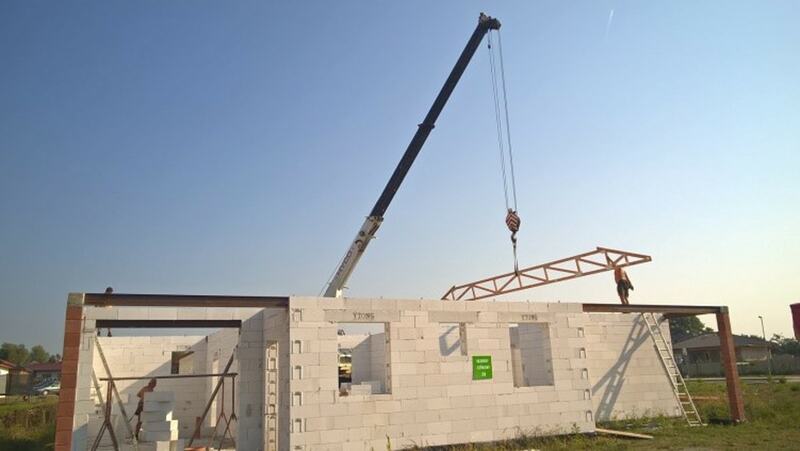 These are prefabricated in a manufacture-assembly hall with presses, enabling speedy assembly on the actual site according to design plans, identifying the individual components; and low cost of labour on the site. 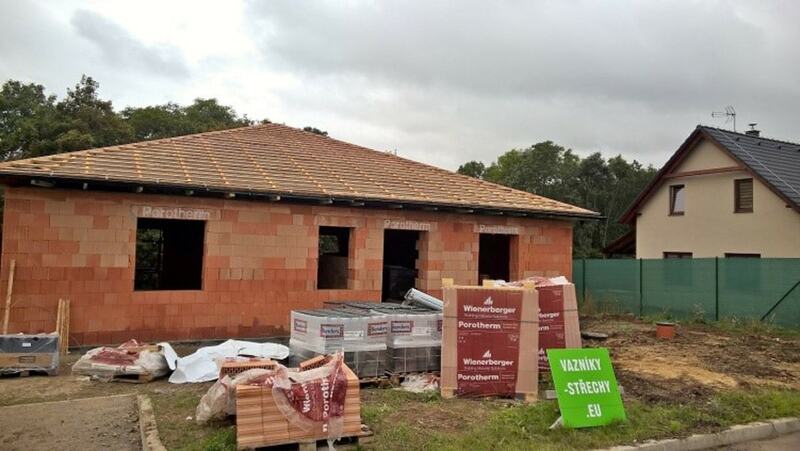 Passive houses will soon be the only choice for builders, contractors and developers since 2020, according to European Union Directive all newly built houses will have to be built as passive houses, and a year later even as zero-energy. We must leave the legislation up to the officials. 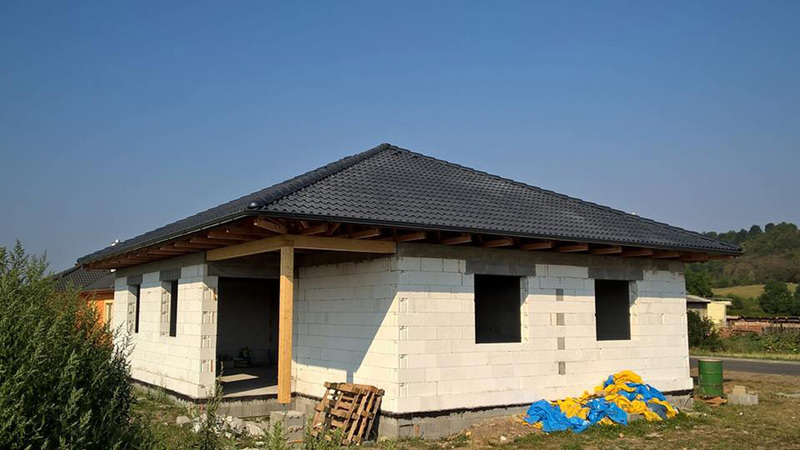 But we have to incorporate these changes into our calculations and to comprehensively address the issue in future construction of houses. 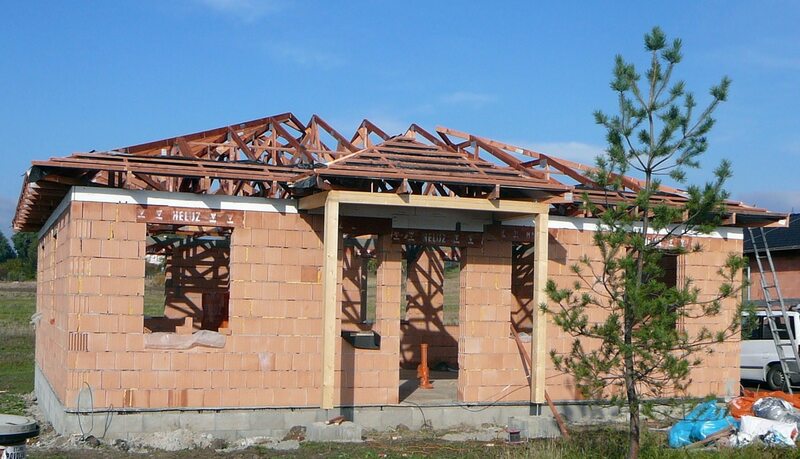 What does it actually mean ACTIVE TRUSS SYSTEM? 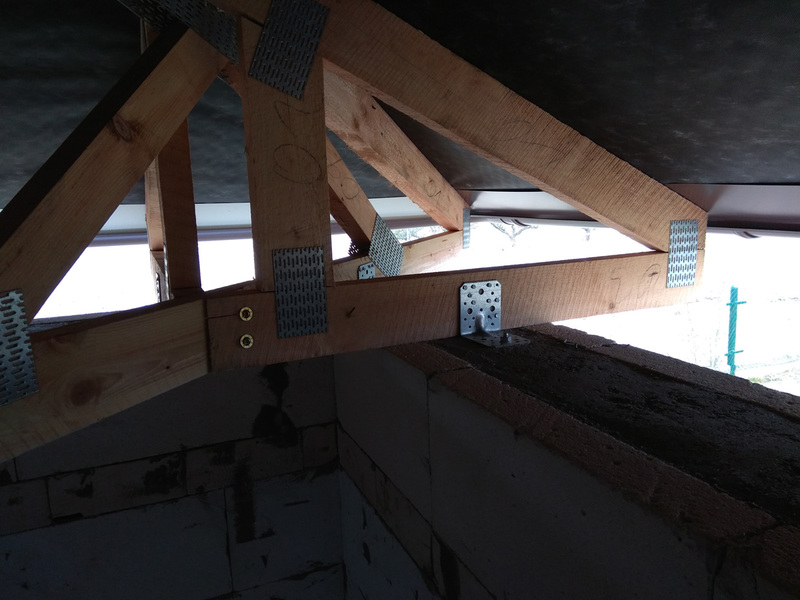 The main above-mentioned advantages of the active truss system as opposed the classic ones is meeting the requirements for calculating the energy performance certificates (PENB). This specifically means universal and compatibility characteristics with other structural products. And in our case, specifically with other parts of the building. Do not know? 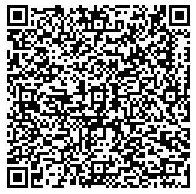 We are online. 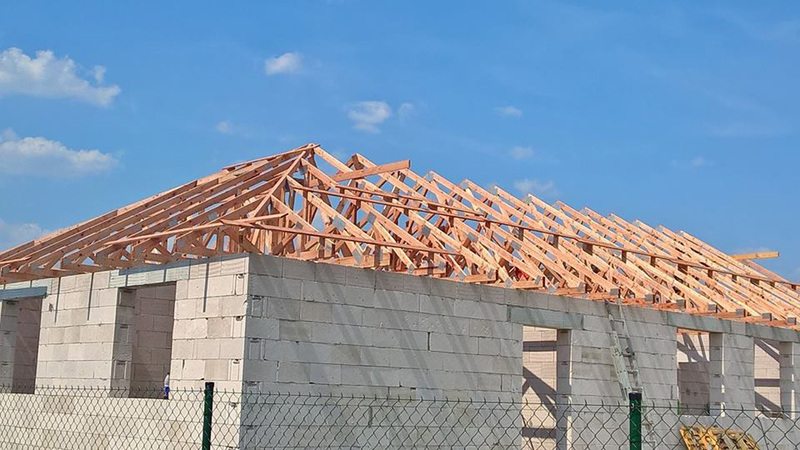 Is a Czech brand name for quality wooden trusses for roofing; free translation from French means original timber – and our longstanding cooperation with Saint-Gobain and STAVERS guarantees attractive prices and the best Czech quality.